It’s no surprise that most Conservatives don’t watch Fox News Sunday. It’s because a liberal cesspool with Chris Wallace at the helm. 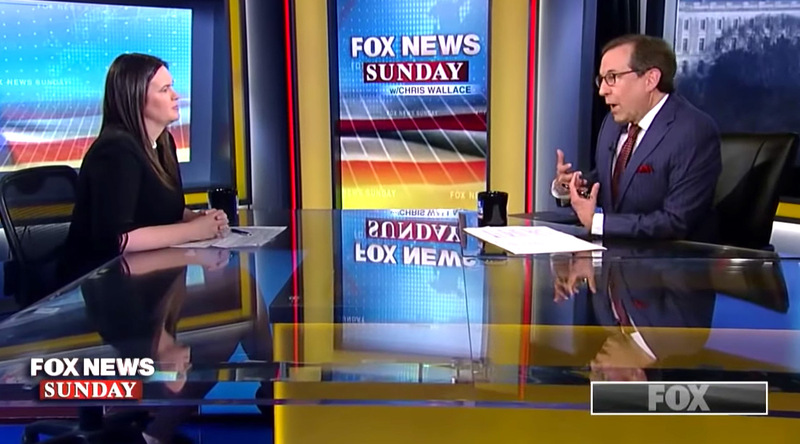 Sunday morning Wallace asked Sarah Sanders an insulting and disgusting question while sticking up for Radical Islamic Congresswoman Ilhan Omar. Sarah Sanders response was mic drop worthy. That’s how you handle Never Trumping clowns like Chris Wallace. If everyone on the right would handle them like Sarah Sanders, her boss President Trump, or even a Jim Jordan or Matt Gaetz, we would start making some headway in American politics.